There is another aspect of cycling as well as the Berlin-Copenhagen Cycle Route that links the two cities: The popularity of cargo bikes. Cargo bikes are often to be seen on the streets of both cities. 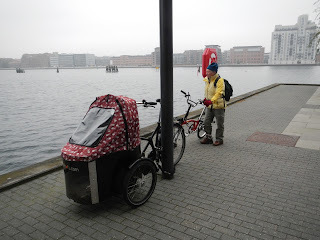 Denmark is home to a number of major cargo bike manufacturers: Bullit, Christiana, for example. An almost parallel society of enthusiasts has blossomed in Berlin. 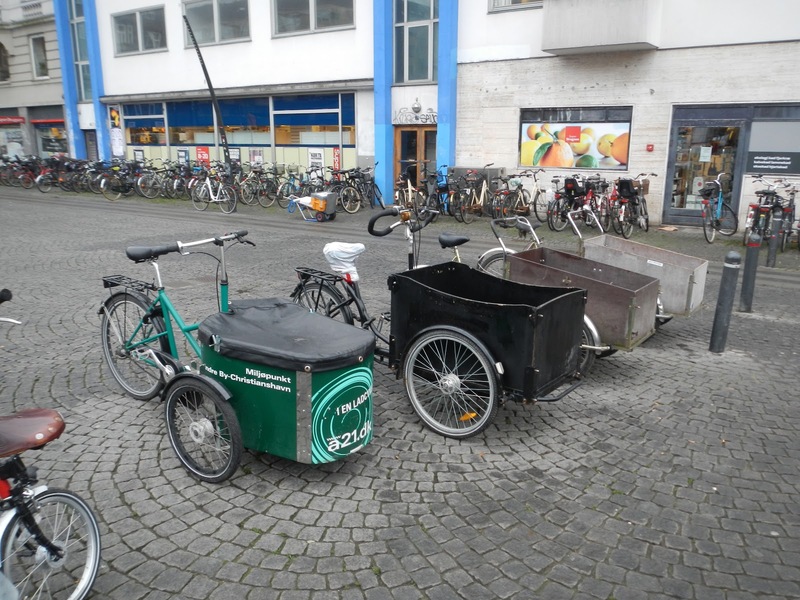 The Berliner Lastenrad-Netzwerk (Berlin Cargo Bike Network) has a mobile workshop to help groups build cargo bikes or modify conventional bikes. 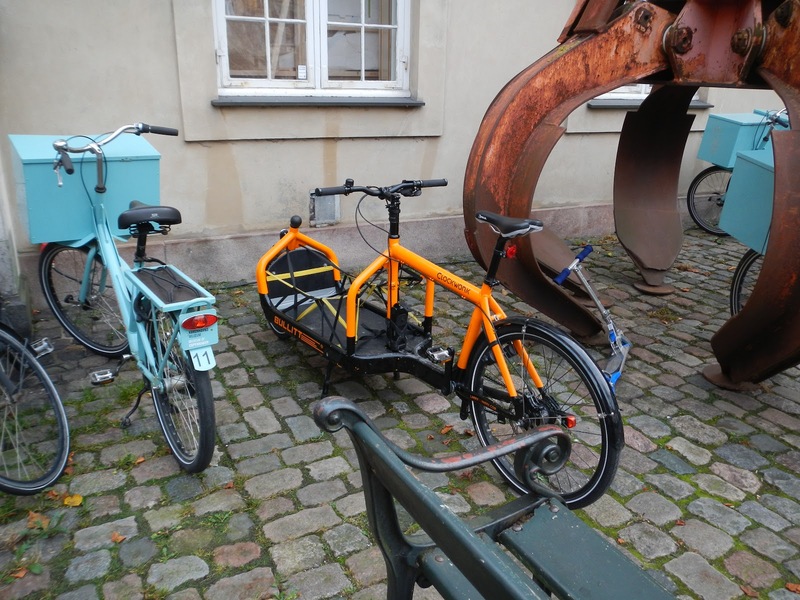 Its website: www.werkstatt-lastenrad.de features films on the building of and plans for cargo bikes. All this information is in German. If you want more information use the contact details on the website and drop the folks an eMail in English. The Lastenrad-Fans Berlin (http://preview.tinyurl.com/d4zepuf) meet once a month to cycle round the city to encourage the city fathers to build wider cycle paths and offer safe parking areas for these bikes. Unlike Copenhagen there does not yet appear to be a manufacturer of cargo bikes, but in a city like Berlin that is very open to new ideas, it won't be that long before somebody starts to manufacture.